Chances are, if you’re a small e-commerce company, you’re tired of seeing your website in search results after Amazon.com. You know that if you could break into that coveted number 1 spot, that could mean massive amounts of new traffic for your site and more sales for your online store. But how can you compete with a behemoth like Amazon? “When underdogs choose not to play by Goliath’s rules, they win.” Malcolm Gladwell. The key to competing with Amazon is not playing their game. Their strategy is one of breadth, but with proper SEO competitor analysis using a tool like CanIRank, smaller e-commerce companies can compete on depth. Meaning: providing focused content and leveraging search engine optimization best practices. Use these tips to improve your search engine optimization, and you will have you in the top spot in no time. Amazon provides a wide variety of options for online shoppers, and they have lots of inter-linking pages containing keywords for each of those options. Combine that with their high website strength, and it often puts their pages at the top of the search engine results. If you make your website content relate closely to a specific target keyword, you’ll have what we call high website relevancy. At CanIRank, we eat SEO competitor analysis (https://www.canirank.com/seo-software/seo-competitor-analysis) for breakfast, and research shows that top website relevancy scores are more likely to outrank Amazon results. A significant signal to search engines regarding the strength and relevancy of your site is the quality of the links you acquire. The type of sites that connect to you and the way in which they link to you determine that quality. A factor we call external relevancy assesses the strength and relevancy of those inbound links. Earning a high external relevancy score is critical to beating Amazon, and it requires getting quality links from relevant sites. In addition to improving your external relevancy, getting links from other relevant and high-ranking pages improves your page strength and your overall website strength. Overall website external relevancy and individual page external relevancy are two components of external relevancy, so evaluate whether your site can achieve high ratings in one or both of these. If your site sells a wide variety of products, for example, it’s unlikely that you’ll have a high website relevancy score for a more niche keyword. For instances like this, you should focus on increasing your page relevancy scores for pages that relate to the keyword you’re targeting. - Links from other sites containing anchor text that is relevant to your keywords. - Links to your site or specific pages from related or niche sites associated with your keyword. - A high percentage of high quality links to your page or website. Keep in mind that overdoing keyword-rich anchor text could signal trouble with the Google Penguin algorithm (https://en.wikipedia.org/wiki/Google_Penguin). Gone are the days when you could rank well for a keyword by just stuffing it with random content multiple times. Google evaluates your content in a much more sophisticated fashion and rewards pages that cover a topic in detail. This shift caters to the searcher, providing them with what Google believes are the best results based on their query and need. This focus on searcher intent is where topical relevancy comes in. Topical relevancy measures whether you’ve covered a topic in-depth. 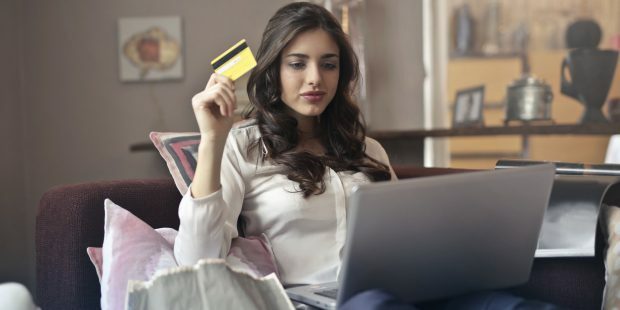 Because Amazon mostly uses weak product descriptions, small e-commerce companies can provide more topically relevant product pages with just a few adjustments. Because this content is more in-depth and more likely to address the keyword meaning and the searcher’s intent, it is more topically relevant. Pro tip: Include the terms related to your main keyword in places that signify importance for search engines, like titles, headings, image alt tags and anchor text. Improving your search engine ranking to beat Amazon means going deep on a keyword, but also thinking “around” your keyword to modify it in profitable ways. Often these keywords modifiers are too specific for Amazon to target effectively. There are two ways to do this; with general keyword modifiers, or product specific keyword modifiers. E-commerce company EcoVessel (https://www.ecovessel.com/) sells premium eco-friendly water bottles. As you can imagine, Amazon is a BIG competitor for them. If you google one of their general product categories, say “glass water bottle,” you’ll notice that Amazon dominates the top 2 spots and EcoVessel isn’t on the first page. As you can imagine, there’s a lot of competition for this keyword, and Amazon is the leader of the pack. But if you googled “recycled glass water bottle” you’ll find that EcoVessel has bested the e-commerce Goliath and has the top spot! While there is less search volume for “recycled glass water bottle,” it’s much better targeted for their audience. As you can see, the strength of your website pages, and thereby the likelihood of your pages ranking higher than Amazon, is based on the relevancy of your content and links, and your website strength. Most likely your site can’t compete against the website strength of Amazon, which is 94 out of 100. Chances are, if you take the time to do the steps above and serve your audience with highly relevant content, you can become the big fish in your small pond and keep the Amazon whale at bay. Tivi Jones is a marketing consultant with CanIRank (https://www.canirank.com/), the first SEO software using AI to give you specific SEO action recommendations rather than just data. She frequently writes and speaks on digital marketing and branding. 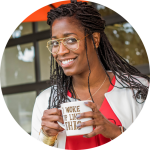 Tivi is also the founder of Hey Awesome Girl, a lifestyle design company for women.